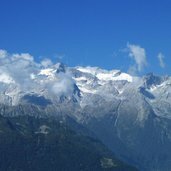 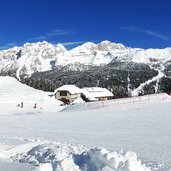 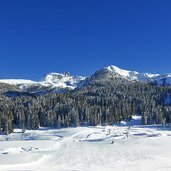 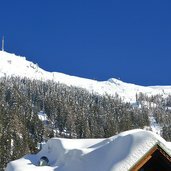 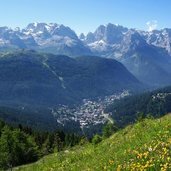 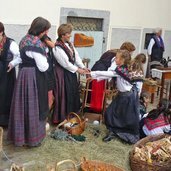 Madonna di Campiglio, Pinzolo, Adamello, Dolomiti di Brenta, Presanella - these are the renowned places of the Rendena Valley. 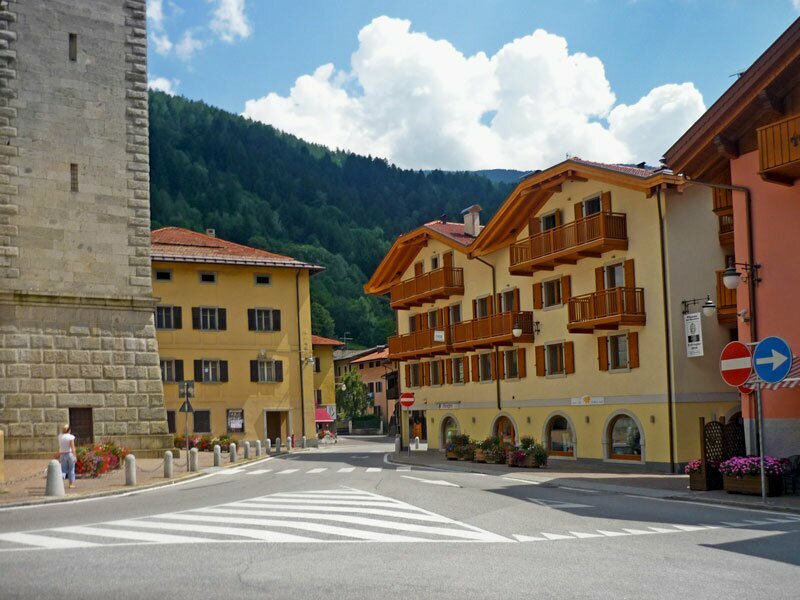 Pinzolo, the centre of the village. 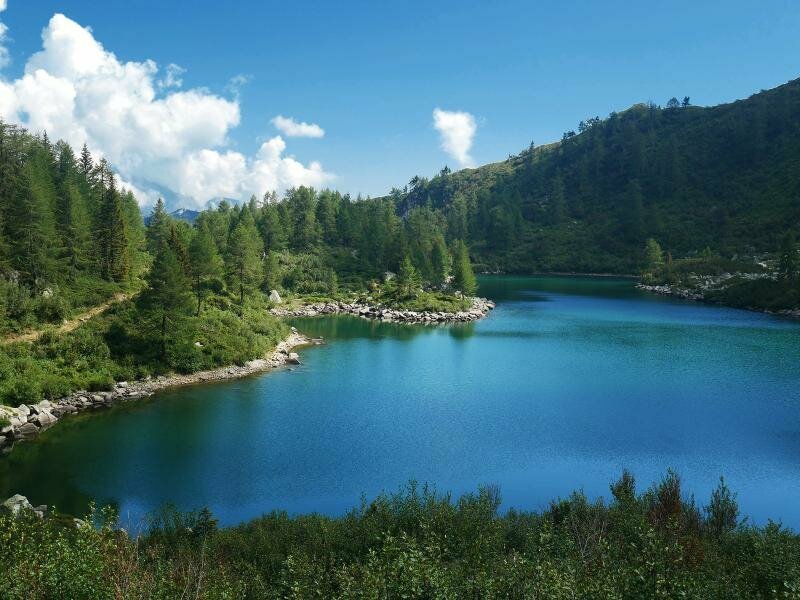 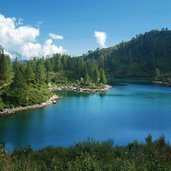 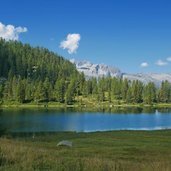 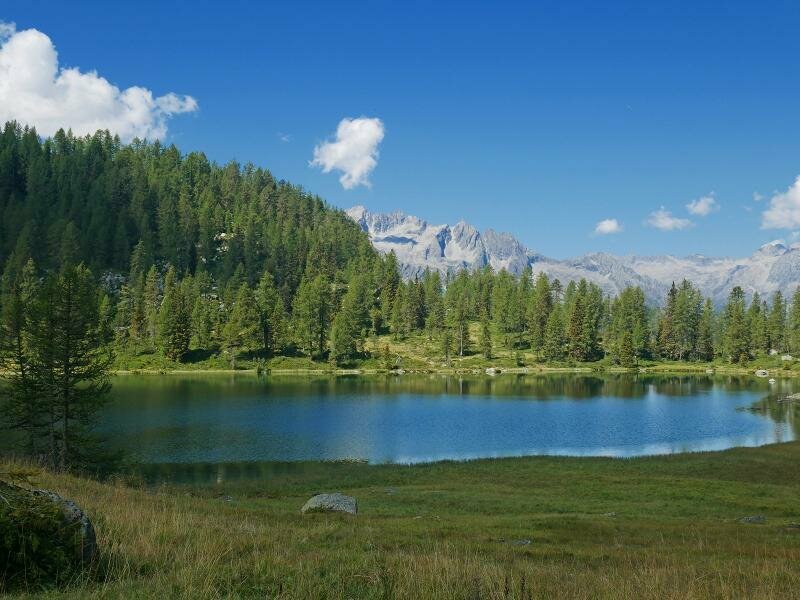 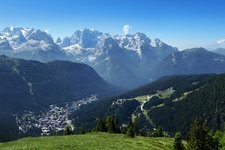 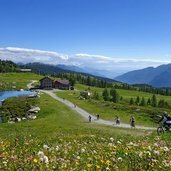 Madonna di Campiglio is a wonderful starting point for hikes or mountain bike tours in the surrounding mountains. 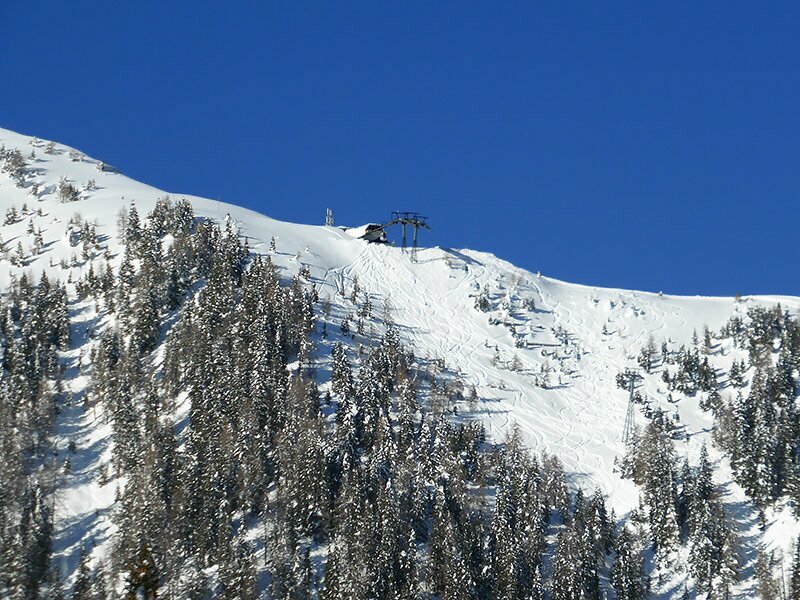 Fun and action on 150 km of ski slopes, that’s what the skiing area of the Val Rendena promises. 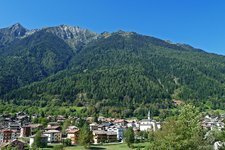 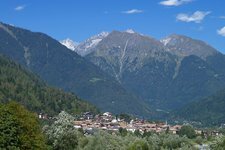 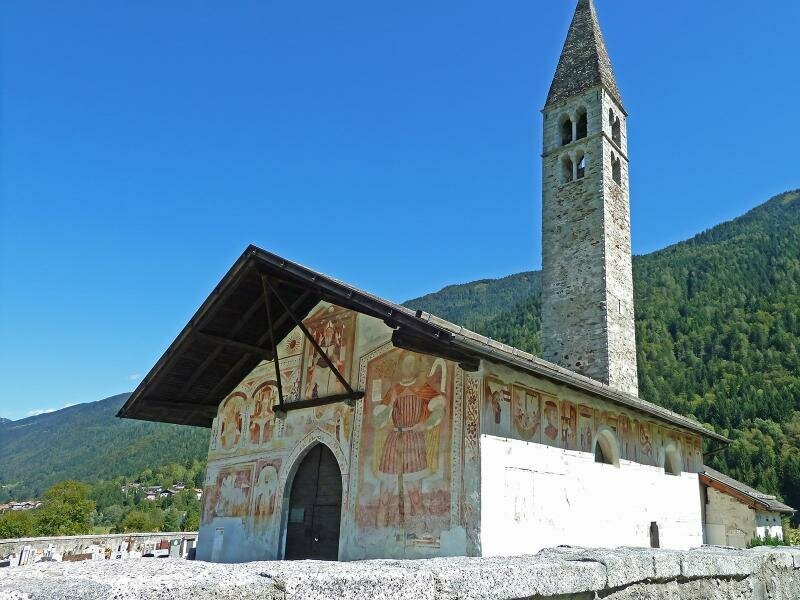 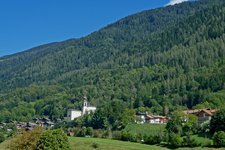 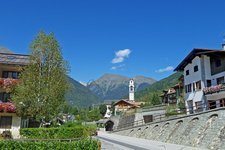 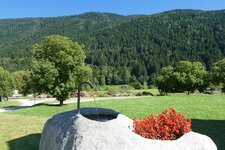 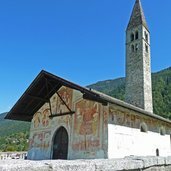 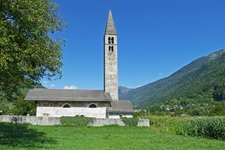 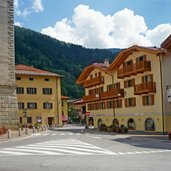 Starting in Pinzolo (Doss des Sabion) it covers the area from Madonna di Campigio to Folgarida and Marilleva in the Val di Sole. 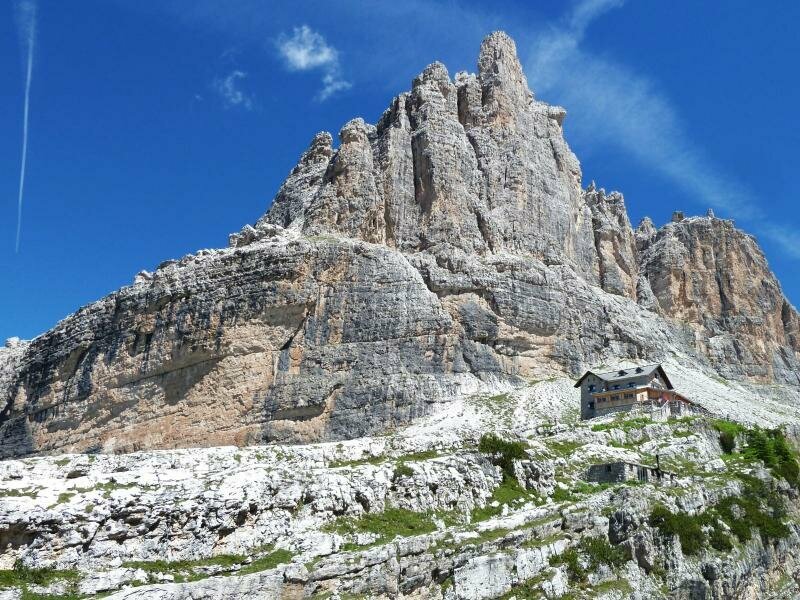 View of the Brenta Dolomites from the Rifugio Patascoss mountain hut. 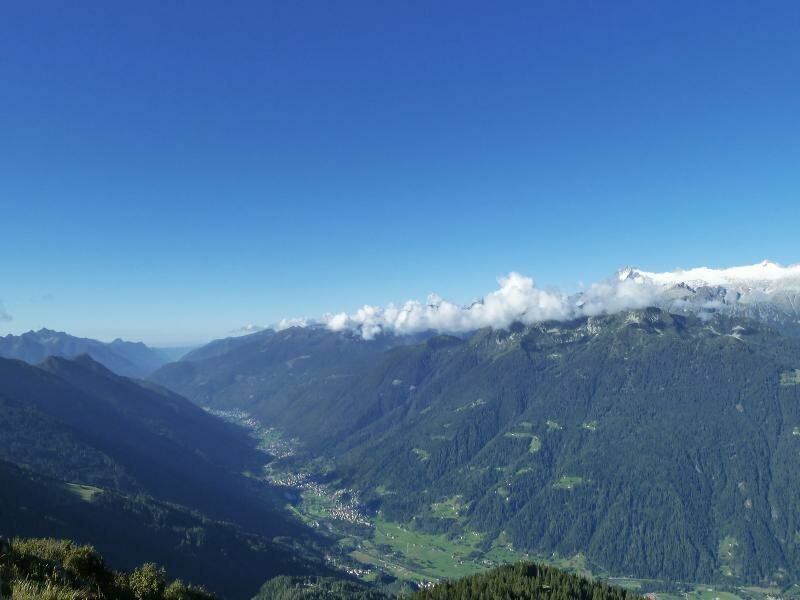 Mountain station of the Pradalgo funicular: this is where the black Amazzonia slope starts. 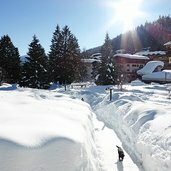 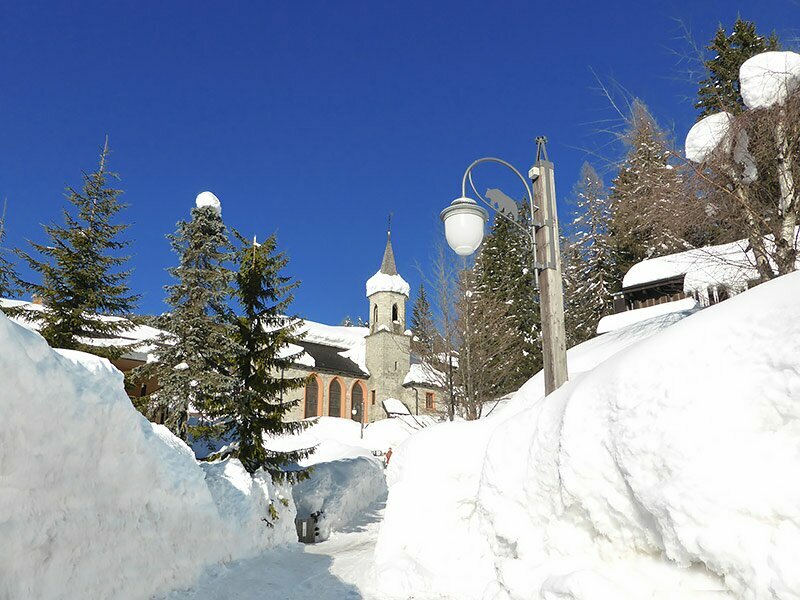 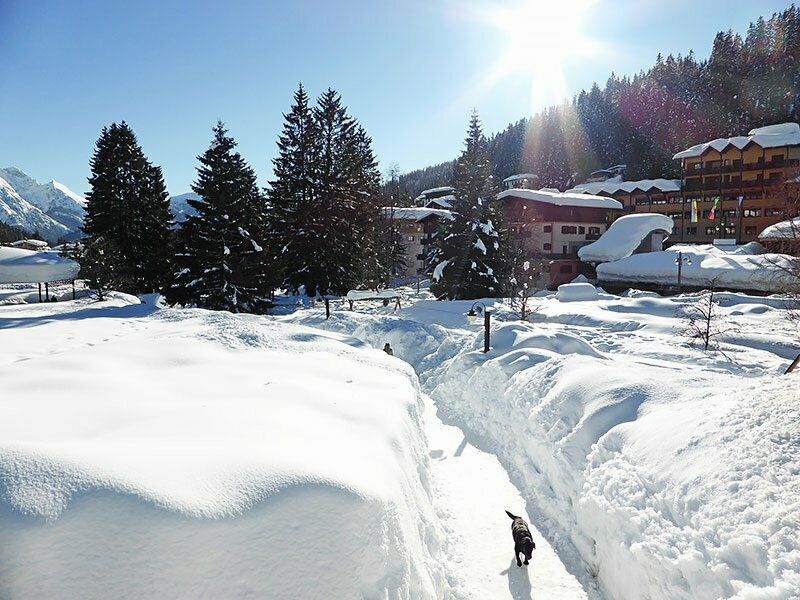 Also in the village centre of Madonna di Campiglio, there is snow in abundance. 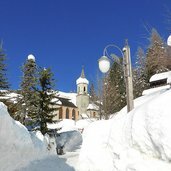 The Santa Maria Antica church in Madonna di Campiglio. 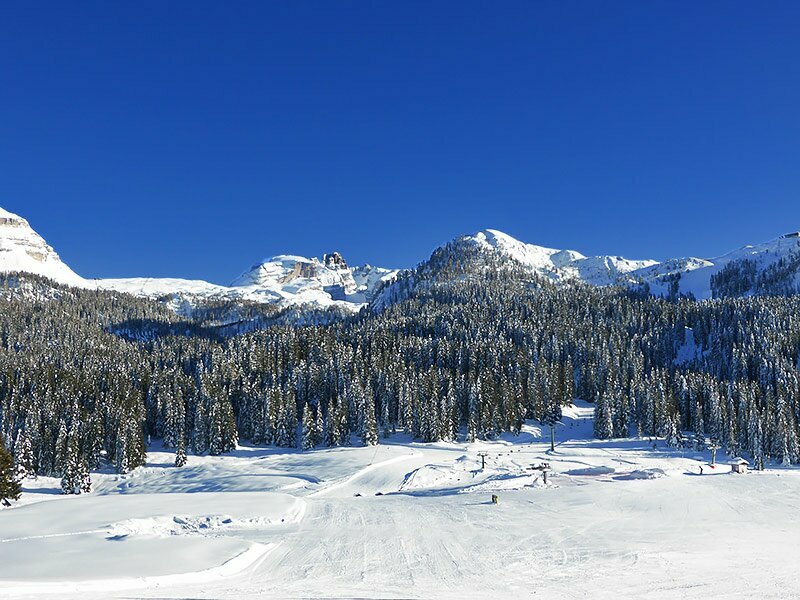 View from Passo Campo di Carlo Magno towards the Grosté pass, the western part of the skiing area. 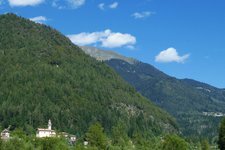 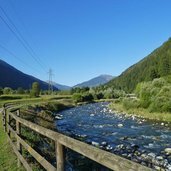 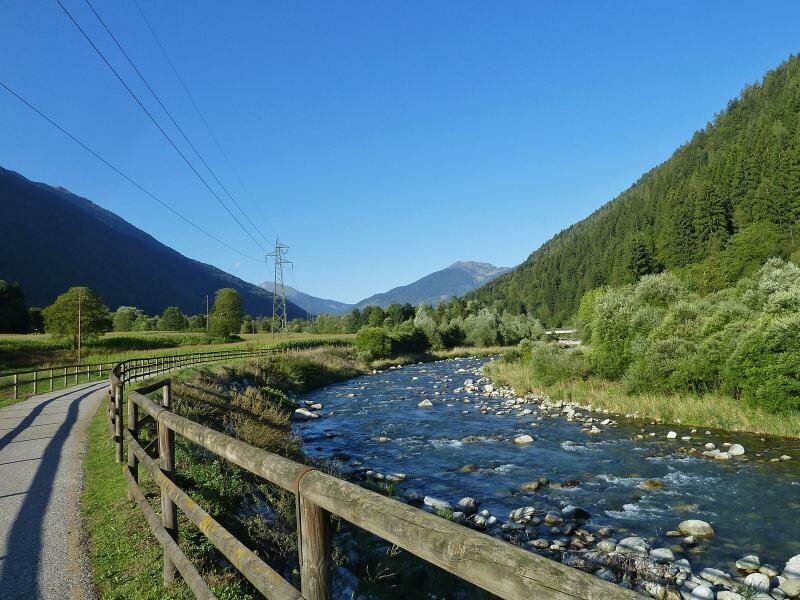 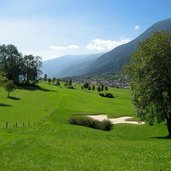 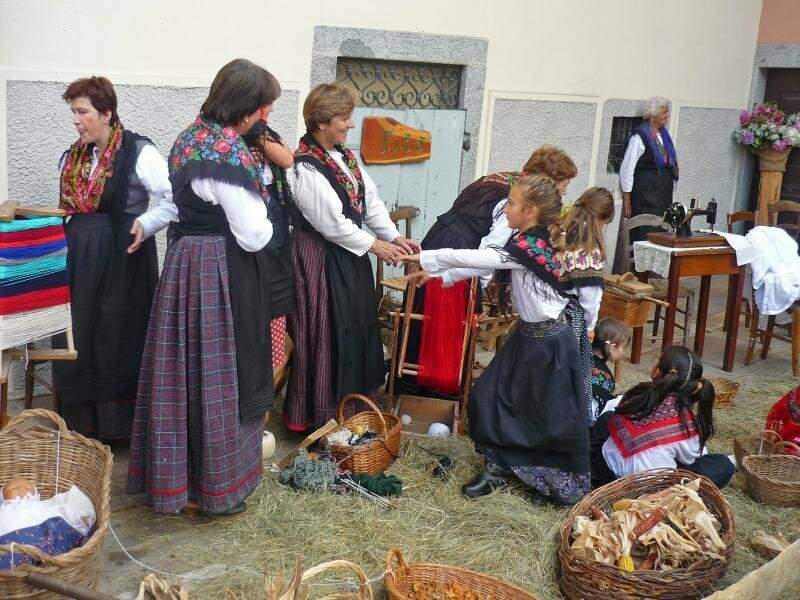 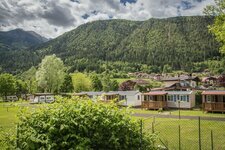 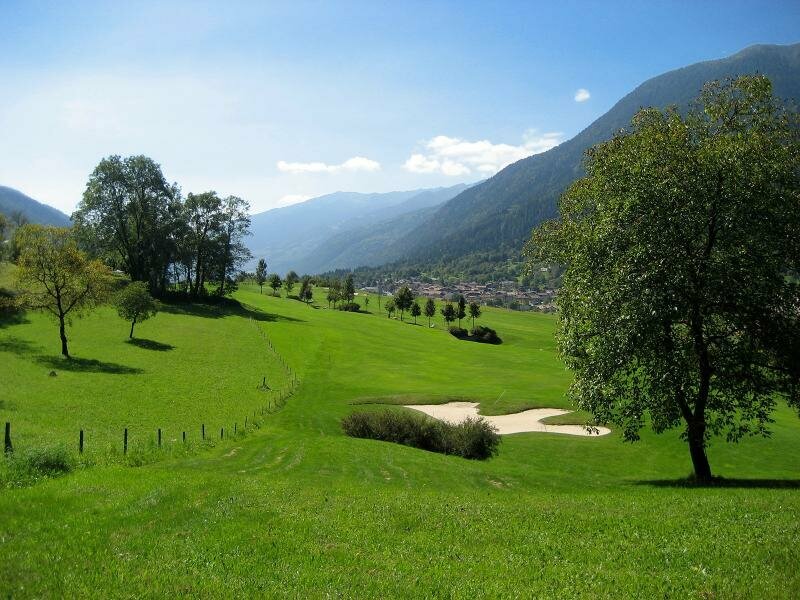 The rich green valley with the Sacra river winding through counts several tributary valleys: the most famous one is probably the Genova Valley, a nature paradise with pristine waters and majestic mountains. 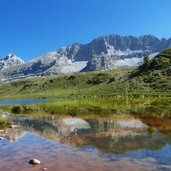 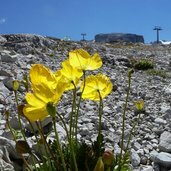 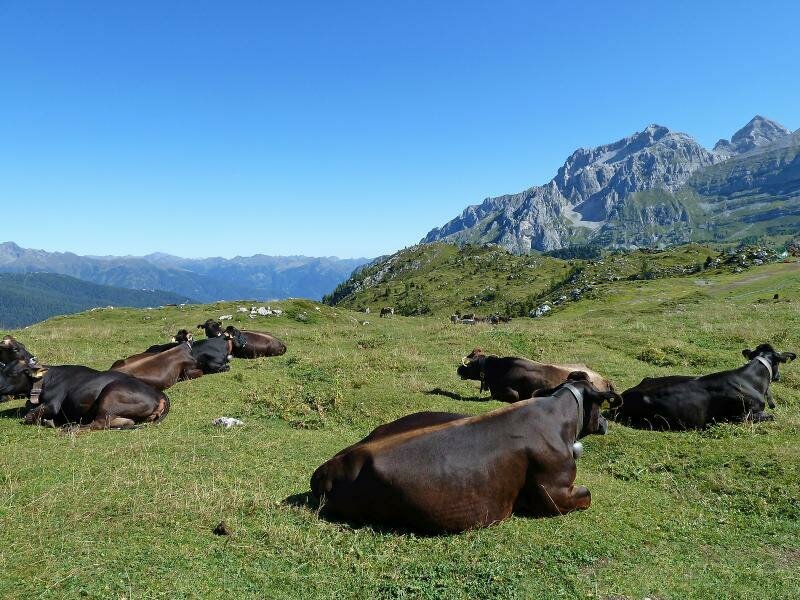 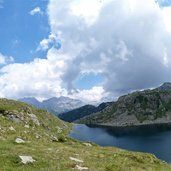 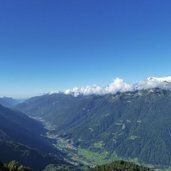 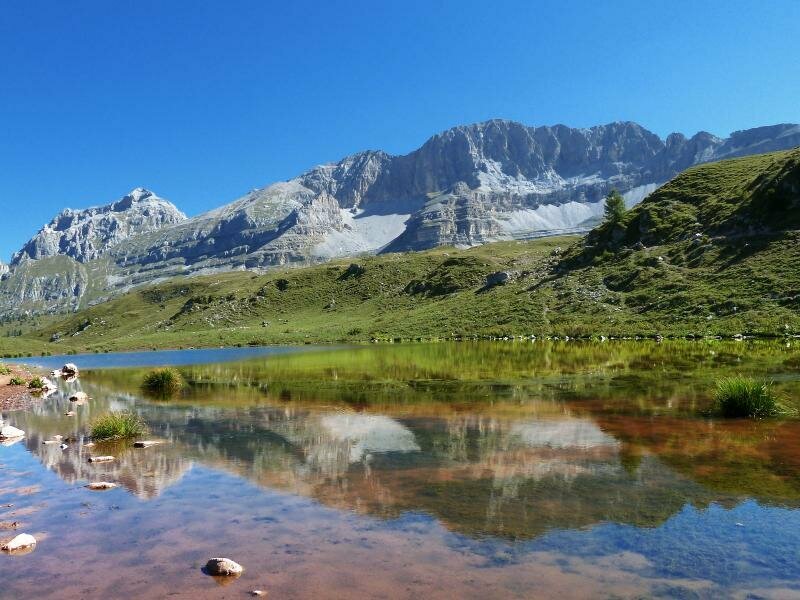 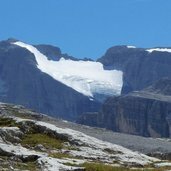 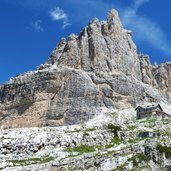 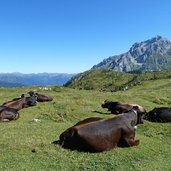 Founded in 1967, the Adamello Brenta Nature Park includes Monte Adamello, the Presanella Mountain and the Brenta Dolomites and covers an area of 618 km². 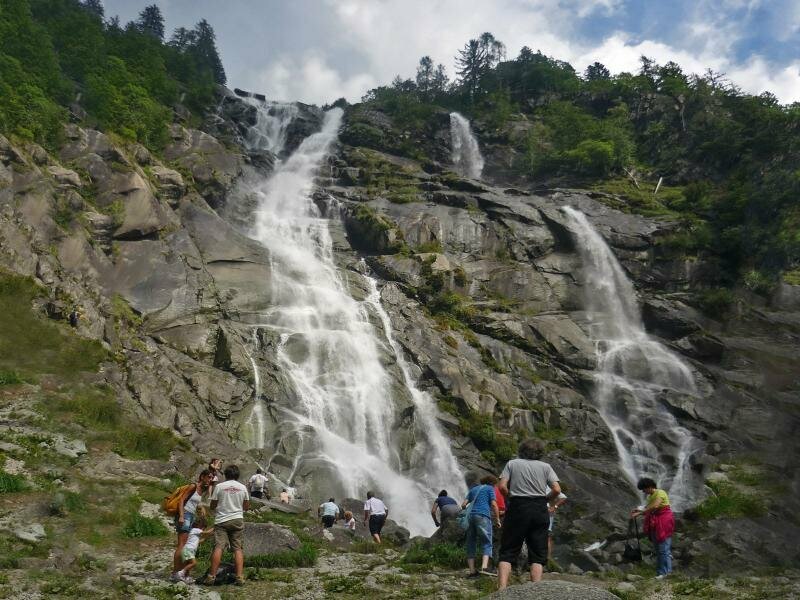 Rich in rivers that originate in mighty glaciers, the valley boasts a high number of waterfalls and mountain lakes and a highly varied flora and fauna. 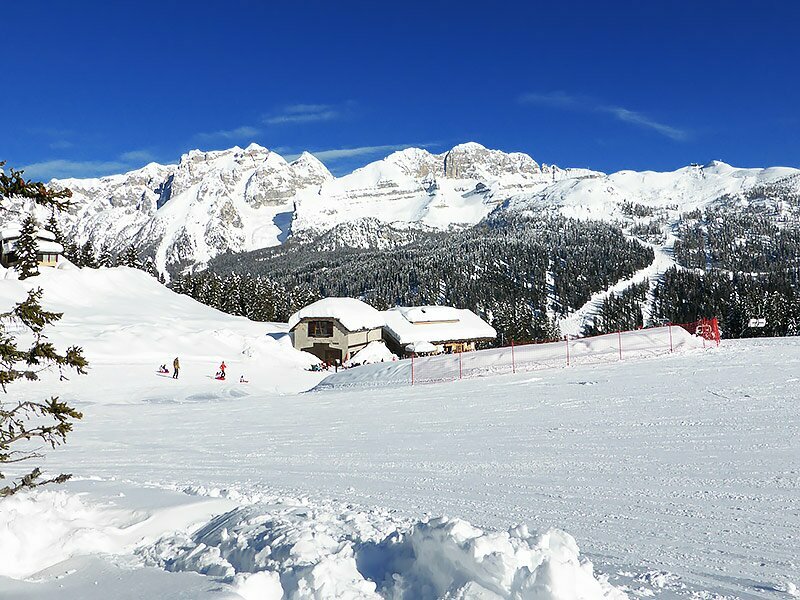 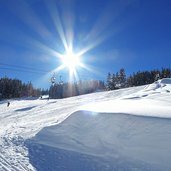 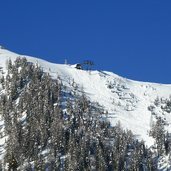 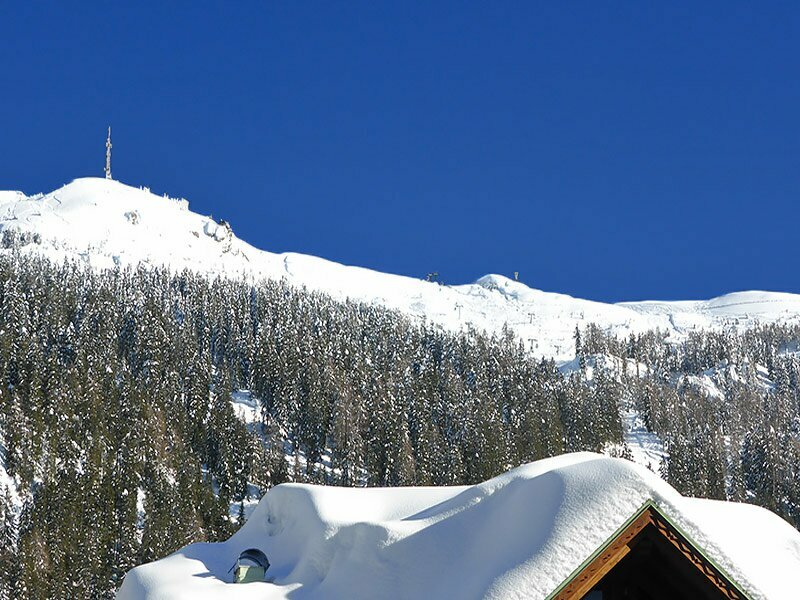 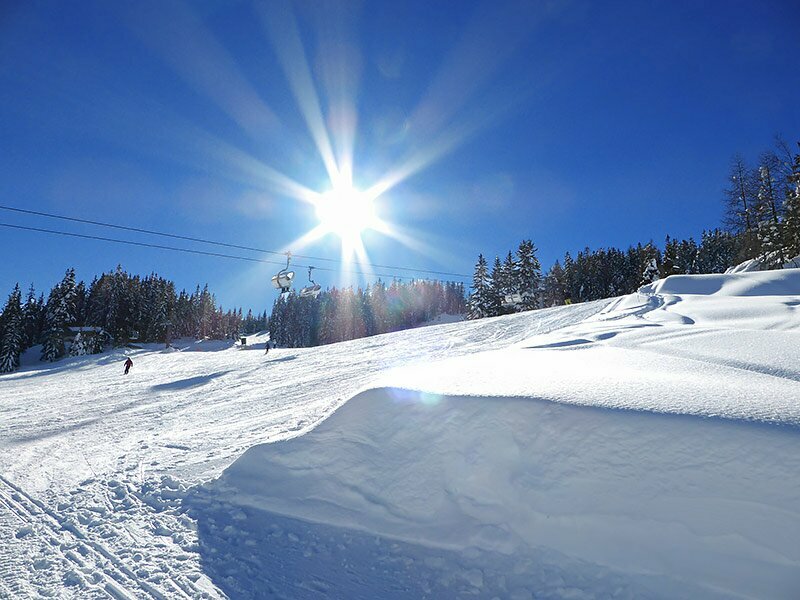 In winter, the lifts and cable cars of Pinzolo and Madonna di Campiglio attract numerous skiers and snowboarders every year. 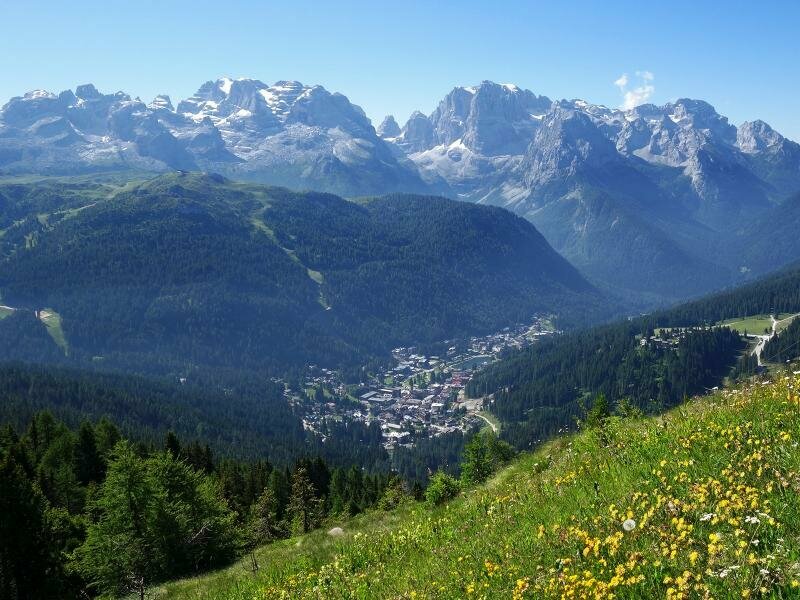 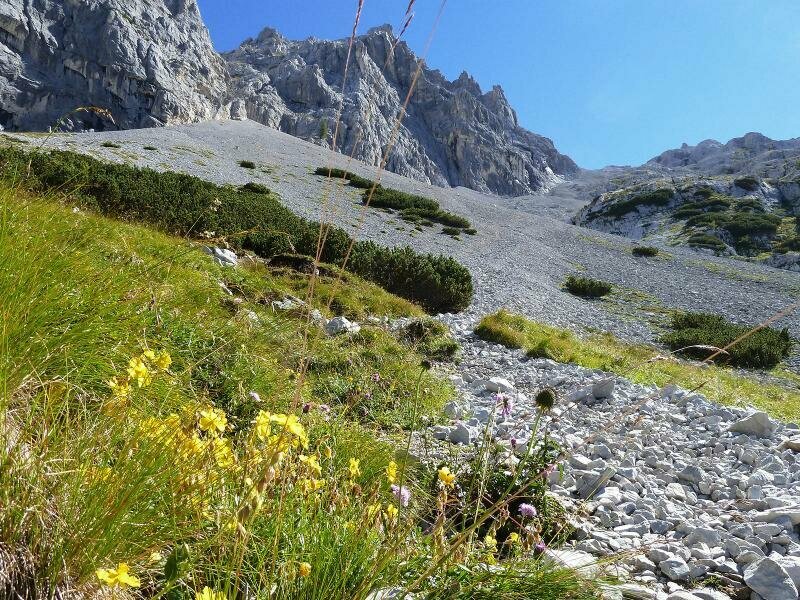 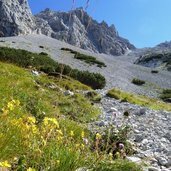 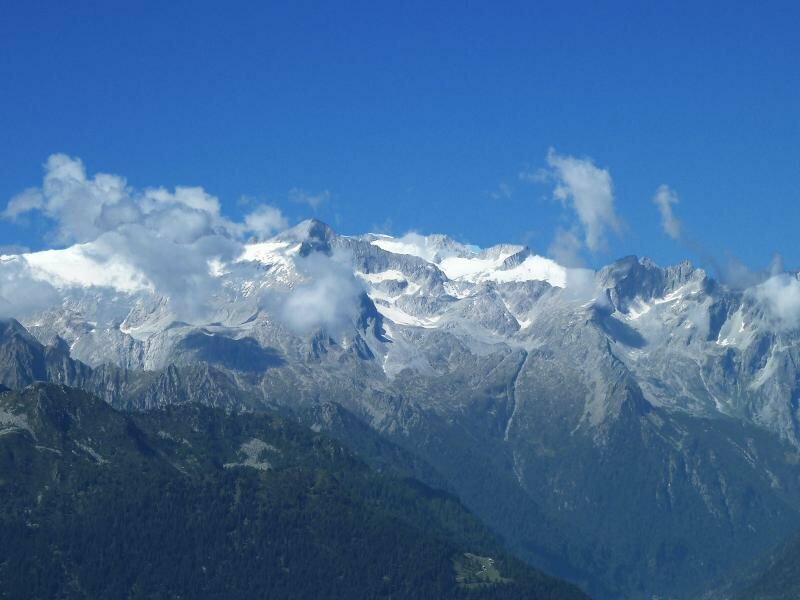 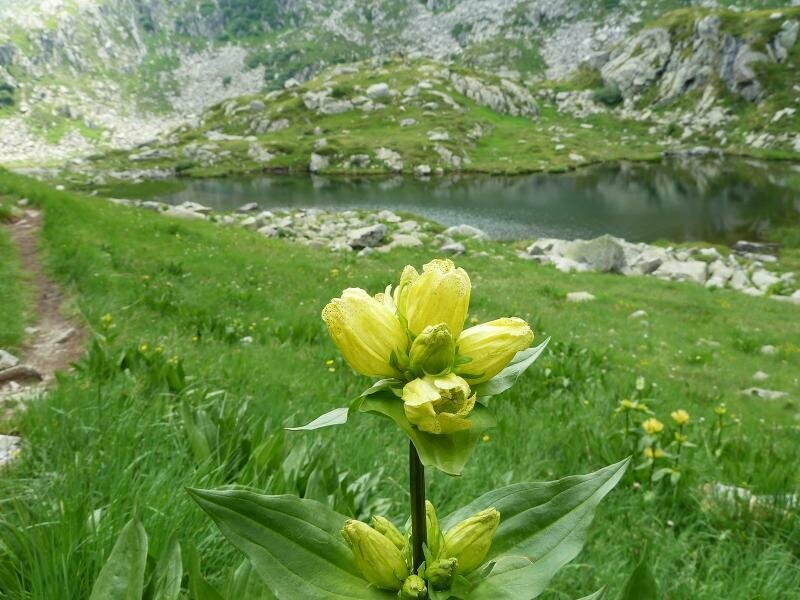 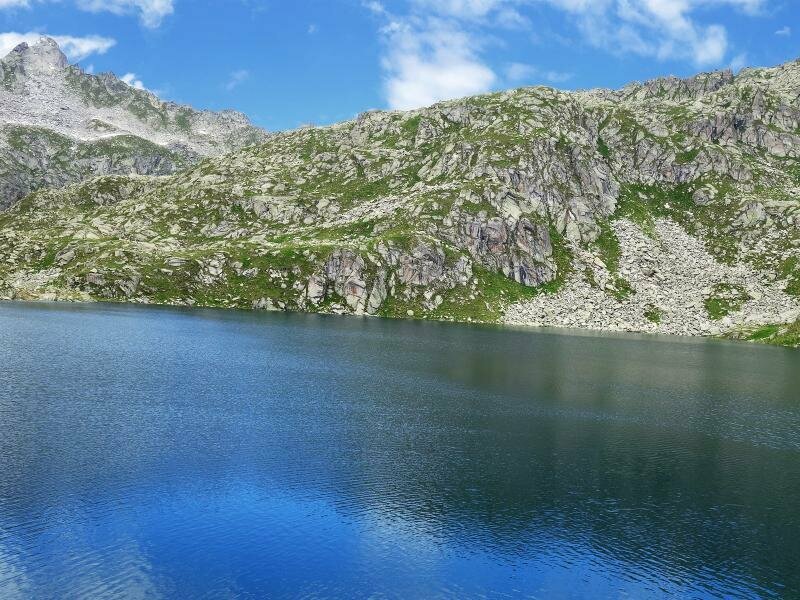 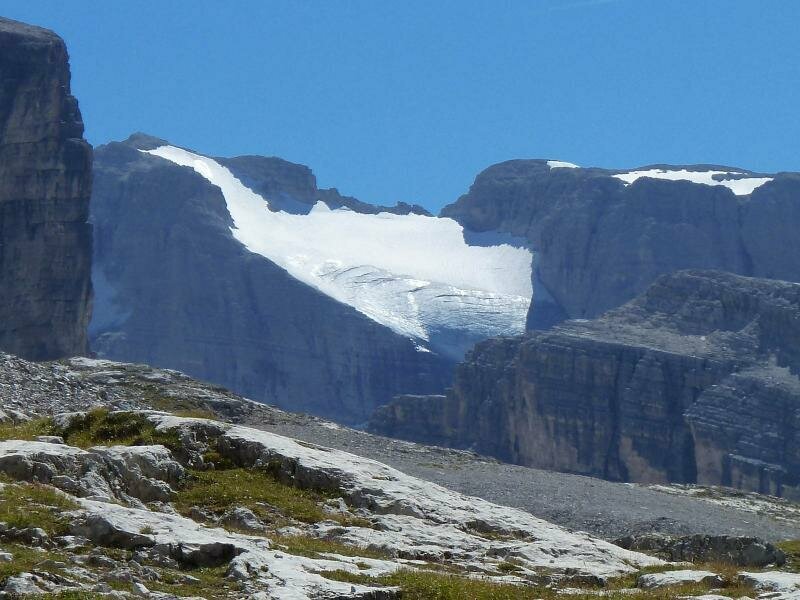 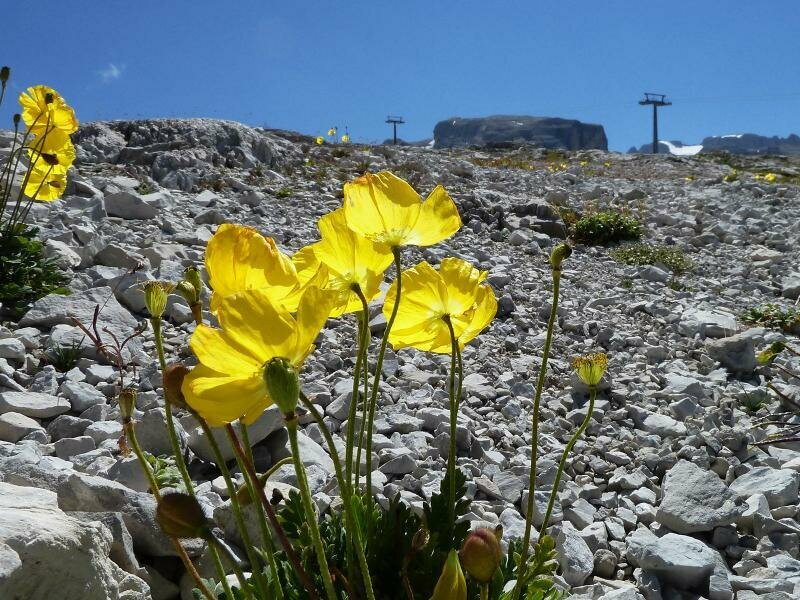 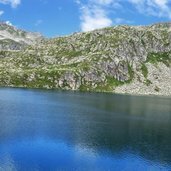 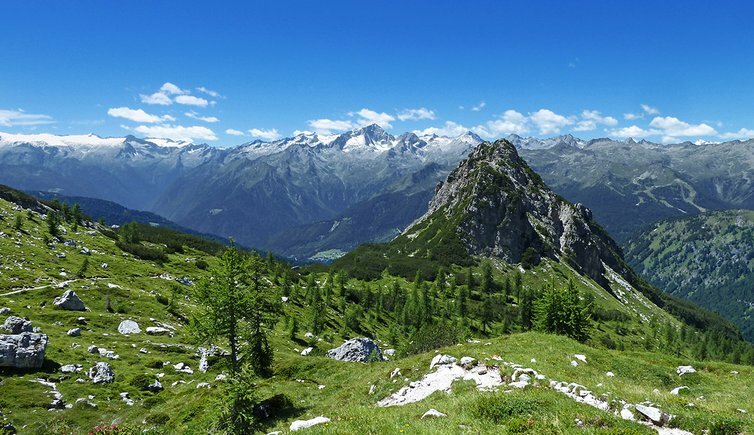 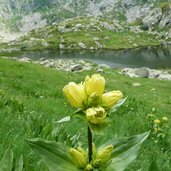 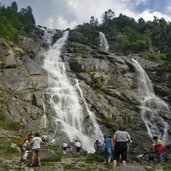 In summer, you can take advantage of countless hiking trails and climbing routes to discover the beautiful Val Rendena. 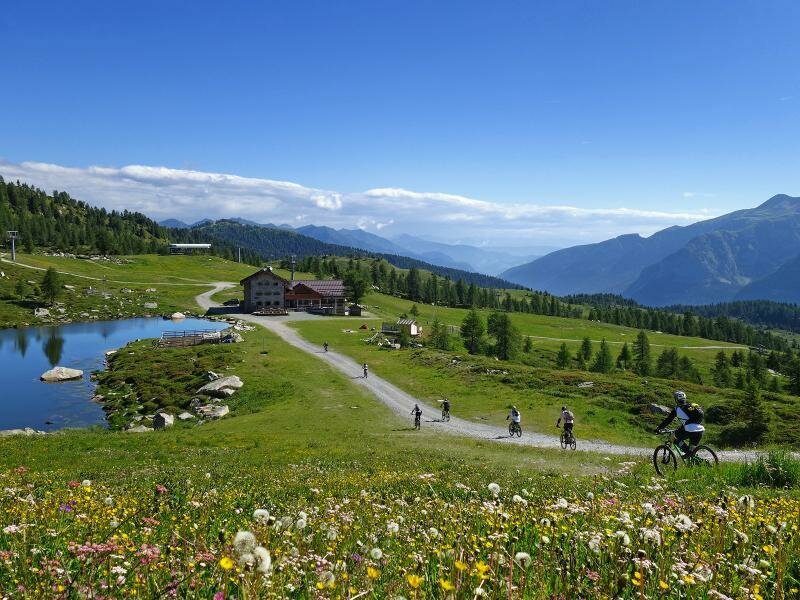 Mountain biking and mushrooming might be valuable alternatives.